(Photo: REUTERS / Fredrik Sandberg / TT News Agency)Desmond Tutu, retired South African Anglican archbishop, talks about his book "Forlatelse", or "The Book of Forgiving", written in collaboration with his daughter Mpho Tutu, at a book fair in Goteborg, September 26, 2014. Archbishop Emeritus Desmond Tutu has marked the 30th anniversary of receiving the Nobel Peace prize by appealing to South Africans to resuscitate the values associated with its early days of democracy. "My plea to my compatriots, to government and civil society, faith leaders and educators, parents and elders and youth, is to institute programmes and trigger discussions aimed at resuscitating the national spirit of magnanimity and common purpose," he said in a statement on December 12. The former South African Anglican leader and Archbishop of Cape Town hailed his country's "relatively peaceful transition, from pariah state to a darling of the world," as bordering "on miraculous." But he also noted some of the current problems facing a South Africa in which "the gap between rich and poor has widened." "We were the Rainbow People of God. For a period, it felt to many of us that we could achieve anything we set out to, that if we reached for the sky we would literally touch it," said Tutu calling for the "fostering self-esteem and self-worth." 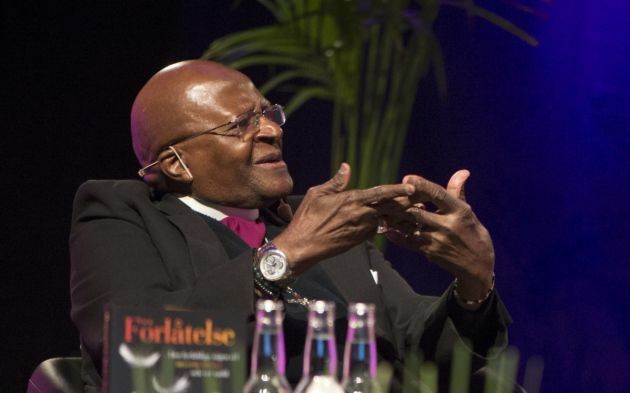 The Nobel Peace Prize laureate is now 83, but the Desmond and Leah Tutu Legacy Foundation said that he has cancelled his travel plans for the rest of the year. The foundation said that was because Tutu has started a new course of medication to manage the prostate cancer he has been living with for 15 years. In his statement Tutu noted, "While a handful of black businessmen and women have become very wealthy, mechanisms that promised to redistribute the wealth in our country have to a large extent failed. "Too many of our people don't have jobs. The land reform process has proven sluggish." He also said the education system is struggling to deliver a level of knowledge and skills to lift South Africans out of poverty. The Nobel laureate said, "All these factors contribute to retarding the healing of the soul of the nation, and conspire to create the environment for the intolerable levels of violence and racism that bedevil our society today." He paid tribute to his fellow Nobel Peace Prize Laureate Nelson Mandela. Tutu noted that among the late president's greatest gifts to South Africa was teaching people to "see beyond pigmentation, beyond gender, sexual orientation, social status and religious belief - to acknowledge the worth of all people."